A print by Jeb Loy Nichols and The Letterpress Collective from a poem by Will Burns. 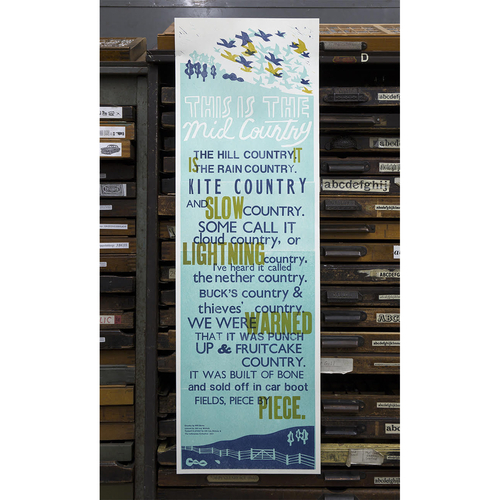 'Country', a unique collaboration between three Caught by the River regulars, is a three-colour lino cut, using wooden type and printed on a vintage press. This is a limited edition of 45 prints, sold exclusively through Caught by the River. Size approx 40 inches X 19 inches. Printed on thick acid free paper.